The Mandala Resort offers morning and afternoon yoga classes inside its two yoga shalas. 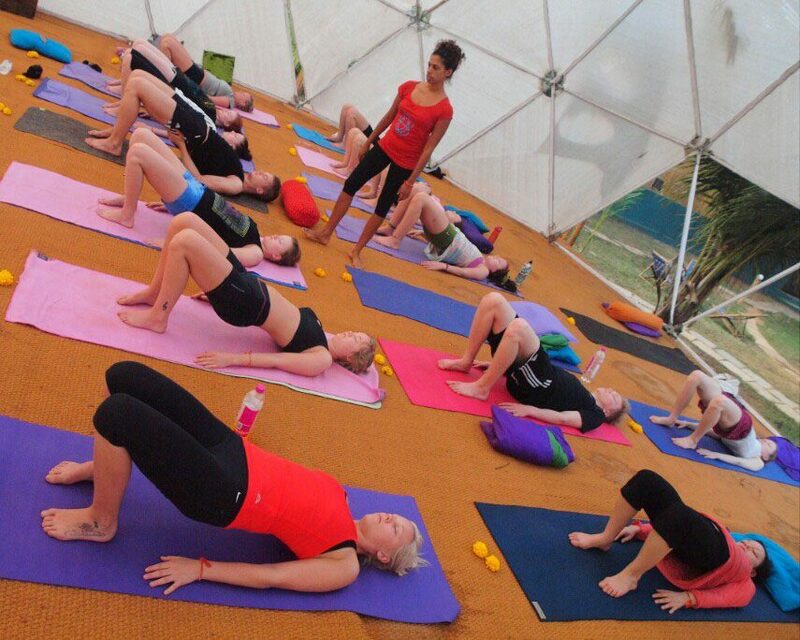 Yoga classes are open to all and are suitable for all levels of yogi from the beginner to the advanced. 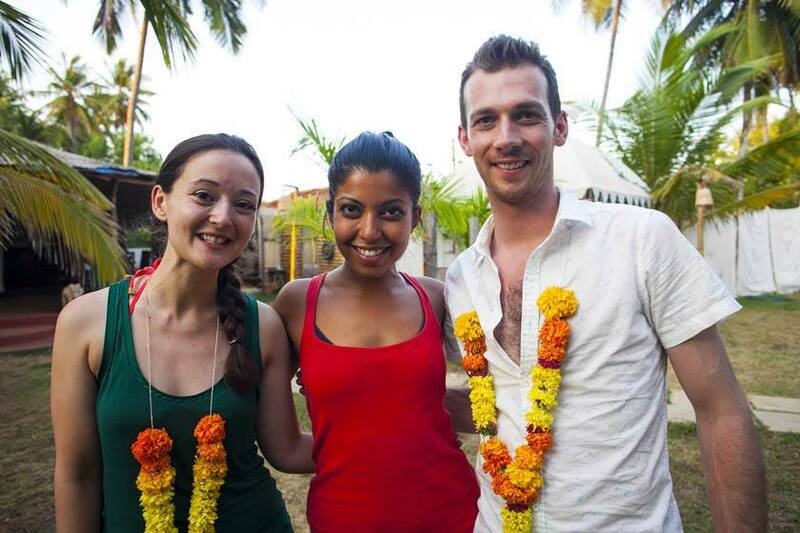 MEET OUR YOGA TEACHERS BY CLICKING ON THIS LINK. "THE MANDALA IS A NATURAL ENVIRONMENT IN WHICH TO PRACTICE YOGA." The peaceful surroundings of The Mandala naturally compliment the pursuit of inner development. Both on and off the mat, inspiration is in abundance and a sense of timelessness is in the air. 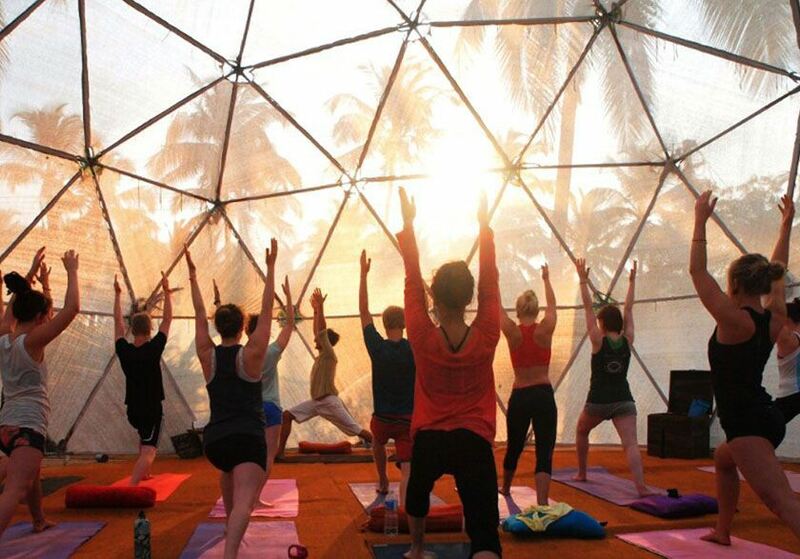 At The Mandala, Yoga is practiced in the serene atmosphere of our Geodesic Spirit Dome and at our peaceful Riverside Shala, which is by far the most fantastic location for a Yoga practice in this region of Goa. Every season we have new as well as resident teachers who are experienced practitioners in all levels. 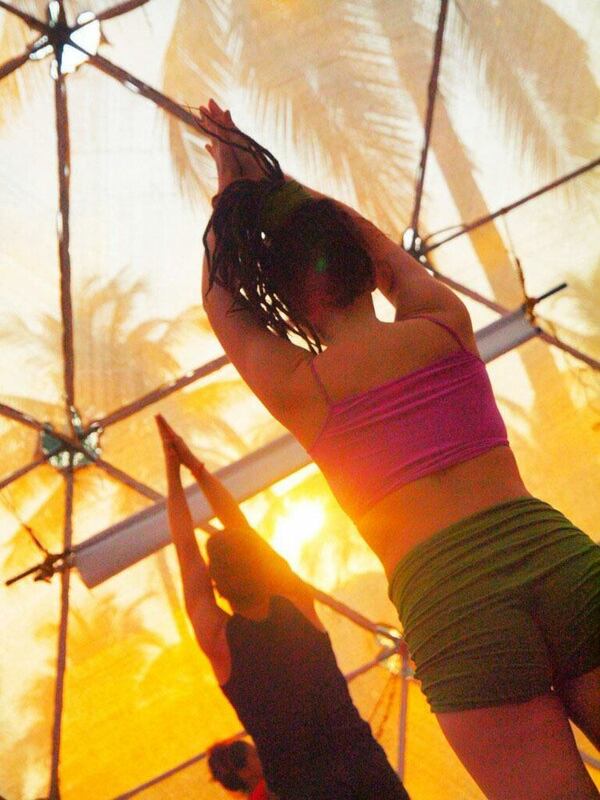 Our morning and afternoon yoga classes are the perfect way to start and end your days at The Mandala. We take a different approach to the traditional yoga holiday with a targeted detox diet and more. 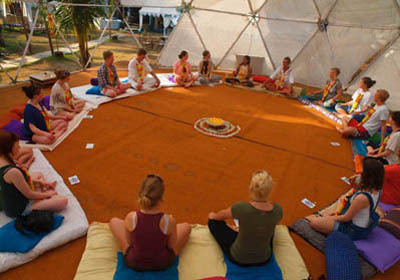 Some of the best and most uniquely themed yoga retreats are held here at The Mandala Resort.